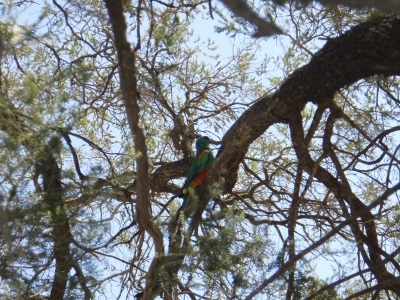 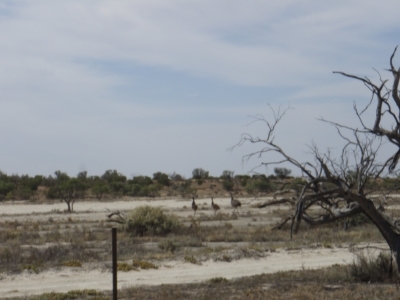 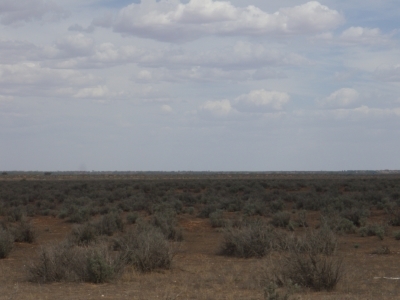 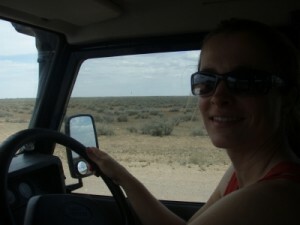 This weekend we decided to drive up to the east of South Australia, near Renmark. 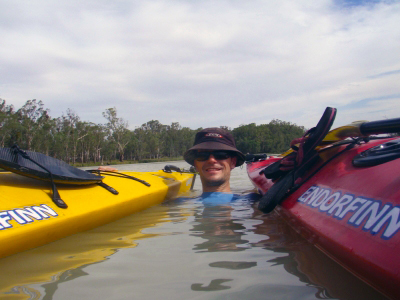 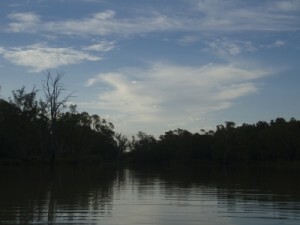 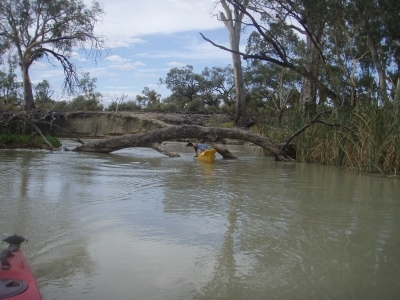 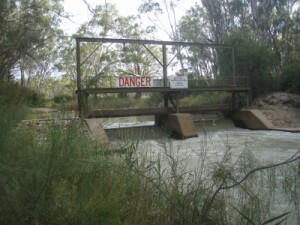 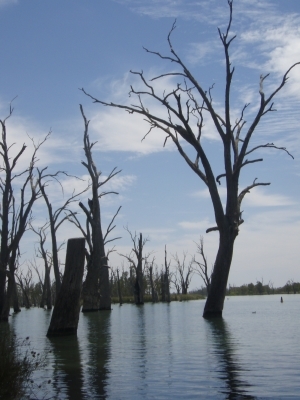 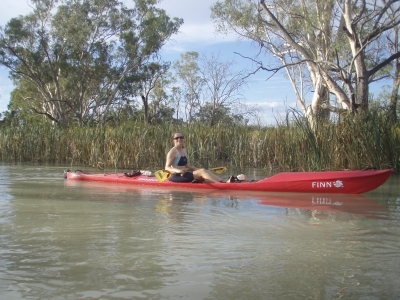 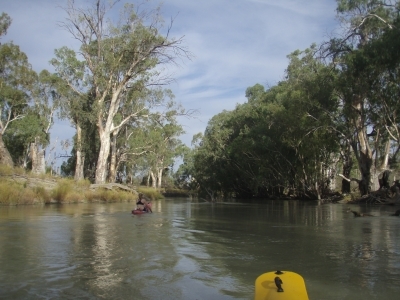 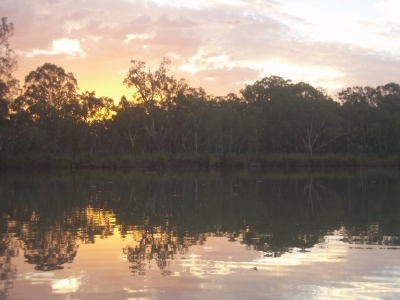 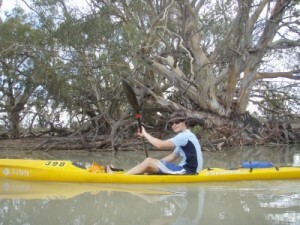 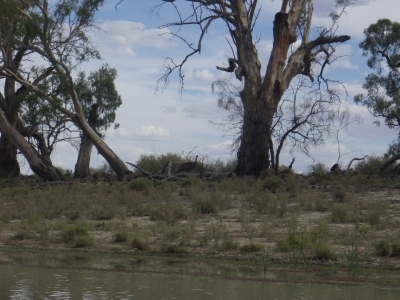 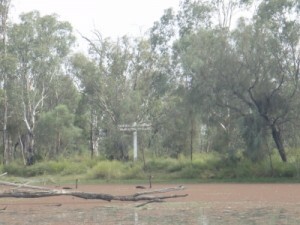 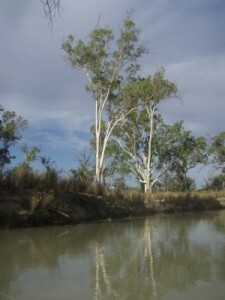 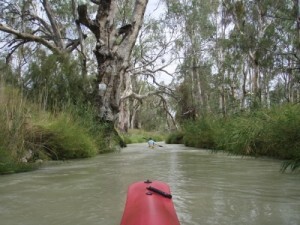 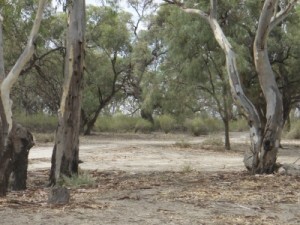 Chowilla NP is a beautiful area with the Murray river and lots and lots of side creeks. 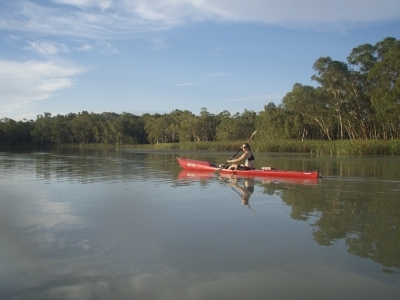 Renmark has the nearest Callipo (ice creams) supply and both the borders with Victoria and with New South Wales are in the NP. We stopped at a few places on the way: Blanchetown with Lock 1 and Truro where we had a picnic by the river, next to the Murray River Queen. 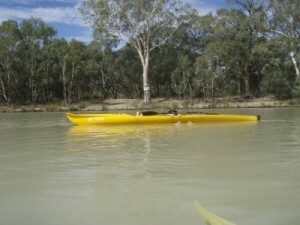 This is supposed to be a major tourist attraction, but we both failed to see the attraction of the ugly boat. Campsite 22 was near the spot where we wanted to launch the kayaks so this was going to be ‘home’ for the weekend. 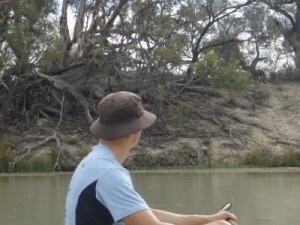 It was an amazing spot (huge!) by the river, with awesome river red gums and our own resident monitor lizard. Shame no camp fires are allowed at this time of year as it had a fire ring too. 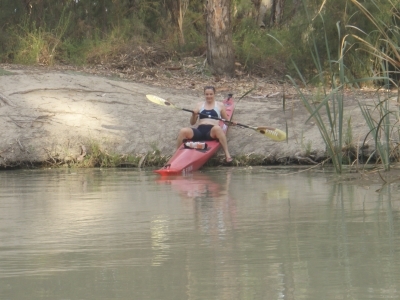 Around 5pm we finally had the kayaks in the water which was probably a good thing as it had been 44 degrees all day and it certainly wasn’t getting any cooler. 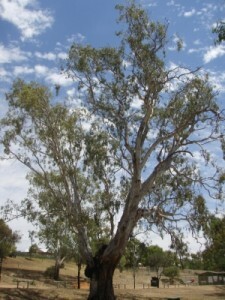 There was a nice (hot) breeze sometimes which felt good. Our plan was to do the suggested day loop via Slaney Creek to the Murray River, aorund the back of the Isle of Man and back via Pipeclay Creek. 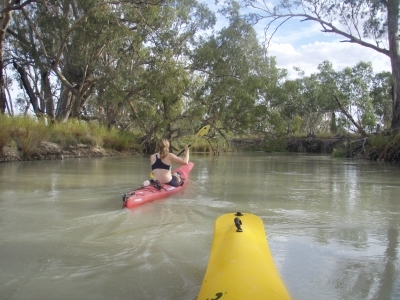 Slaney creek was upstream all the way and it took us a while to get to the weir just before the Murray. 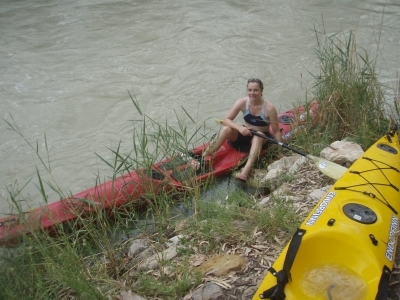 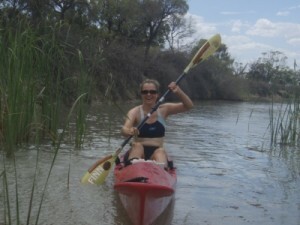 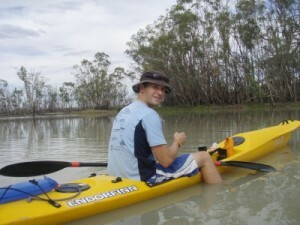 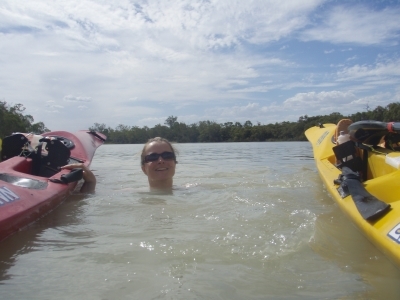 It was an amazing paddle, so beautiful and with so much wildlife to see! We saw 100’s of kangaroos and wallabies (lots of very big reds too! 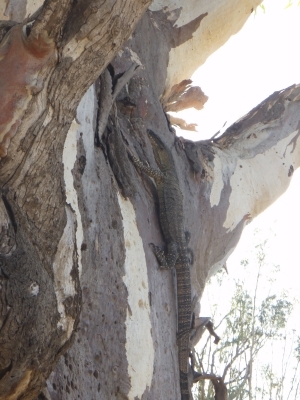 ), a monitor lizard, 4 emu’s and heaps and heaps of birds. 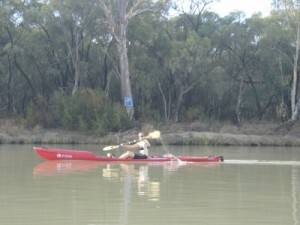 Then it all went a bit pear-shaped – as it does occasionally. 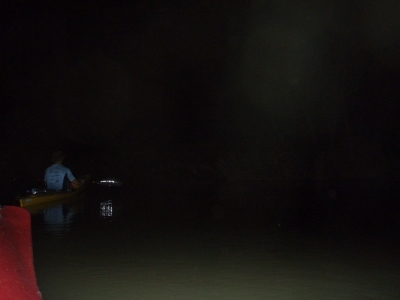 The back of the Isle of Man was completely overgrown with reeds and there was no way we could get through there… We spend an hour or so trying to work out if we were definitely in the right spot (yes) and then decided to paddle back the way we came as it was rapidly getting dark now. This meant our 13km paddle turned into a 23km paddle as we had come up the long way 😉 We got to the weir just before dark and then paddled carefully back to our campsite. 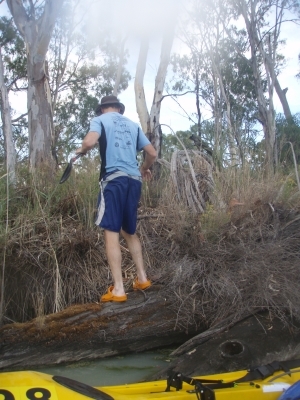 The limbo tree was the only real obstacle and we managed to find our way past it using the side channel (after Jude got stuck first). We spend half an hour or so just floating and enjoying the stars. 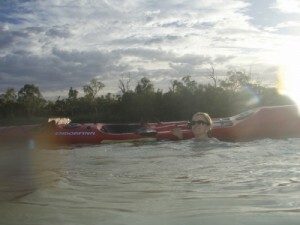 There were no mozzies (heaven!!) 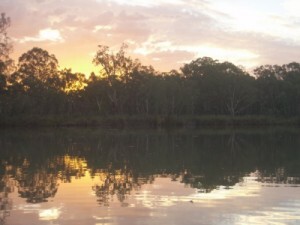 and it was a gorgeous balmy night!! At 11pm we had a shower (Lara has a shower!) 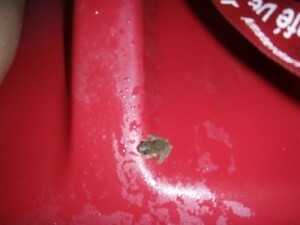 and a very late quick dinner. 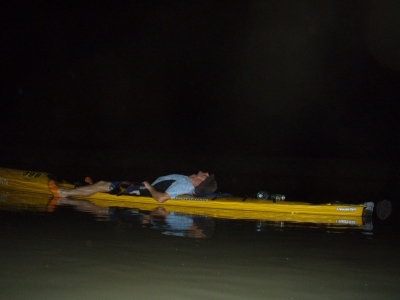 More star gazing with port as it was just too nice to go to bed yet. 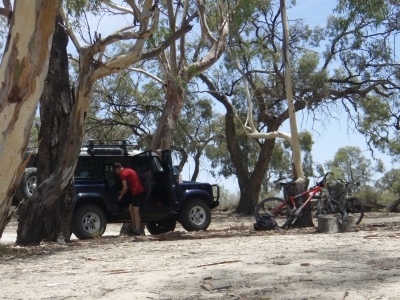 The next morning we went for a ride in SA and NSW around lake Littra. It’s a good thing we carried the gps as the tracks went absolutely everywhere! 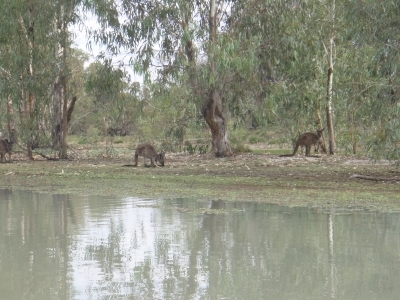 Again we saw heaps of wildlife: heaps of birds and kangaroos and another 5 emu’s. We had to get our fix of Callipo’s and drove into town to get some on our way to our last stop for the weekend: old custom’s house. 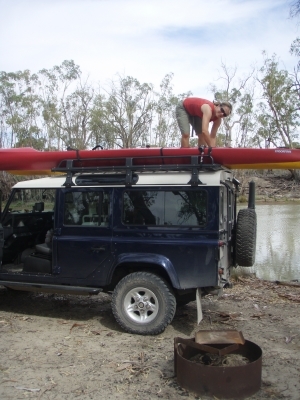 Jon picked up another cool drink there and we asked for some advice for a small kayak loop. 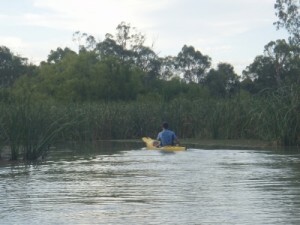 The route he suggested sounded nice, so we floated down another flowing creek, paddled around the back of the Murray and portaged the ski’s back to the Murray. 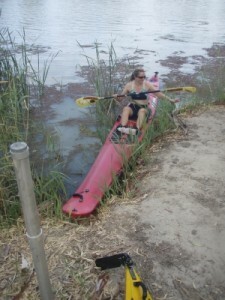 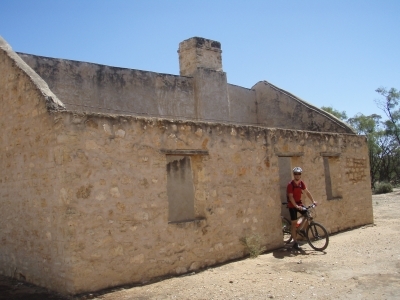 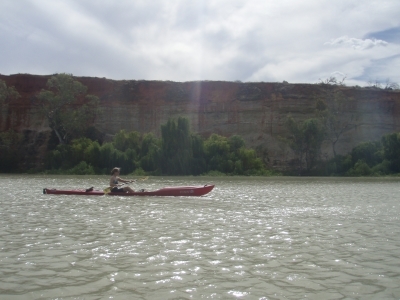 We then floated in the water for a while until we paddled back across the VIC and SA border and past Border Cliffs, back to the old custom’s house. We would have loved to come up here more often, it is such a beautiful area. Especially for kayaking and I am sure you can do some lovely rides and walks there too!